IE ... I spend most all my day in workout wear. so a simple denim tunic and jeans fit the bill. for instant style and drama. finishes off the look perfectly. with the same basket purse. for my week in the studio. by just pulling on some well chosen accessories. for a quick dash out. I now know exactly what I can wear! set off perfectly with a rhodium plated crystal bead. Like my Tamera Beardsley Design page on Facebook. Make sure to enter the giveaway through Rafflecopter below so that your entry is counted! You can enter up to two times if you both leave a comment and like my Tamera Beardsley Design page. The giveaway will close Saturday February 15th at 12:00 am. Winner will be announced on February 17th. Thank you for the give away. I already liked you on FB a while ago. Love your jewelry! And the top necklace is so great...you are very talented Tamera! Would love to win and wear one of your pieces! Keep smiling! I apologize but I missed to become a FB fan earlier... with or without a giveaway, I should have done that a lot earlier! Your bracelet is beautiful and I have entered. I love the basic navy blue tunic+jeans but your styling versions are amazing. I cannot even decide which is my favourite. I'm really loving that extra long pendant necklace from the first photos. Very unique. You look FABULOUS! 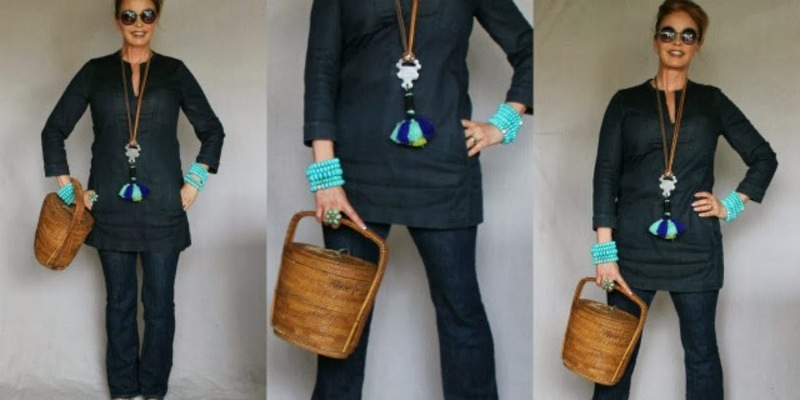 I love the first outfit with the long necklace and doubled up turquoise bracelets. LOVE IT! That necklace you are wearing with your tunic - WOW!!! It is stunning!! Great photos of all the outfits and as usual, lovely style. I'm a new reader that found you when you announced your new series. I believe that there are no coincidences. I'm looking forward to your next installment as well as getting to know you as I meander through your blog. I will like you on FB, too! This is a great give away. I read your blog and liked you on Facebook. LOVE everything you create. Would love to win. Okay, you've just raised the bar AGAIN!! First of all, I need your uniform!! This post was a BRILLIANT tutorial on the art of accessorizing. Clear, concise, artistic and do-able. It's been on my mind as well, this uniform thing. Secondly, I love the idea about writing the blog you want to read as a vehicle for transformation. Definitely food for thought!! I believe it is important to look somewhat put together when leaving the house, and you pull it off beautifully. Spent way too much time perusing your blog this weekend and really enjoyed. Looking forward to the next installment. You, my dear friend, make it look so easy, and you look like the front page model. Every look is spectacular, elegant, glamorous, and says, this is Tamera! Your accessories are To. Die. For. I have yet to wear my (ever precious) howlite turquoise bracelet without getting compliments to no end. I'm definitely entering to share one with Tori. (although I plan on purchasing one for her birthday). What a perfect uniform that lends itself to so many fabulous looks! The bracelet is stunning. I love how creative you are with your base outfit! I am enamoured with your designs and the way your carry yourself in photos. The turquoise colour is really so beautiful and bright...it really connects with me emotionally (in the sense that it evokes memories of a favourite aunt). Isn't that funny that colour and style can be like that? Love, love, love your pairings! The bucket bag is some character and you pulled it off perfectly! 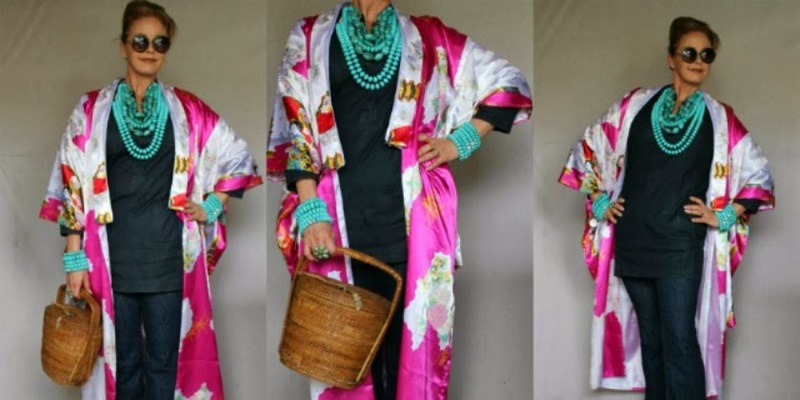 I'm swooning over the kimono with the turquoise! Brilliant! I would never have considered the combo, but the push/pull between the two is art! You spend most of your day in "WORK-OUT WEAR", so do I! You have a cow tag necklace around your neck……..what number is yours?I cannot read it!I adore your looks……….I think its amazing how you transform yourself!You look so different to me with a hat and sunglasses on compared to no hat and no glasses!YOU travel the spectrum of a young college aged gal to a GLAMOROUS creature of the HIGH SOCIETY!Love the accessorizes.And the basket handbag is the perfect touch!TRA………LA……..when you go out how many compliments do you get in a day?I would imagine a FEW!! Ps.I had a SON down at SLO! PSS.In an older post I saw you have a brown wall………..did you do that yourself?I think its close to the living room.My hallway from my front door to my bedroom is done in the same color and the same way which I did a few years ago!!! I'm enjoying your story, I like your accessories and I wish your business well! I'll play! 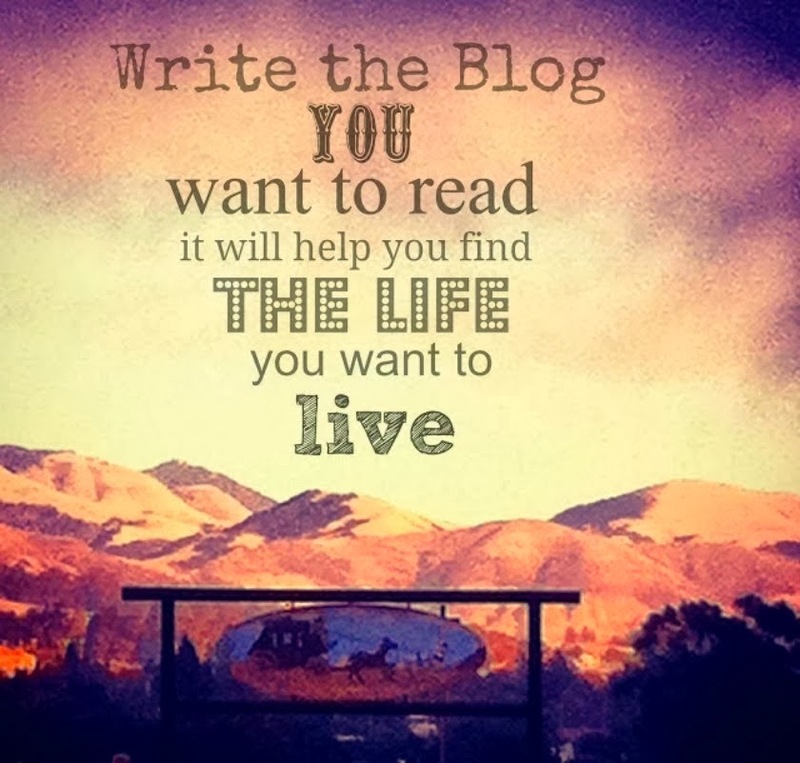 Loved your Write the Blog you want to Read post. I'm searching to find myself, too. Also, love the turquoise bracelets stacked in the top and bottoms photos. You're so great at accessorizing, Tamera. I love your blog and love anything turquoise. Thanks for making this available. The bracelet is so so gorgeous! I think i alredy like you on FB? I advocate a uniform as well and love being able to dress this way since retiring. There are so many versions and I love all the changes you have done to yours. I have entered for the bracelet. Turquoise is my all-time go-to accessory. I'm entering the giveaway! What a gorgeous bracelet! I'm loving your style, Tamera. What a great idea to use your at home basics to build some outfits for going out. I could definitely use that system on the weekends, where I enjoy a lot of at home time, punctuated with quick trips here and there! I love how you have mixed up the accessories and layers over your simple work outfit to create such colourful and chic looks. A jeans and a tunic can be so simple but you look maximum good dear Tamera! I like dark blue and it makes a wonderful silhouette and looks very elegant. Your necklace has such a nice color and fits perfectly. Love also your glasses on the first pictures. AND your gorgeous smile.. wonderful! Love, love, love your basic outfit! As one who also designs jewelry I can appreciate your creativity and use of stones, tassles, beads etc. What fun you are having my friend, I can tell by your creations. I have also entered your giveaway and would love to show off one of your designs! I am keeping positive! Again, beautiful basic outfit and glamorous, interesting outfits using accessories. Your Howlite jewelry is wonderful. I would like a close up look at the necklaces. I especially love the one with the basic outfit, but also like the vintage array of necklaces. I love your talent for mixing and accessorizing. Wonderful! Thanks for sharing. You are a fashion inspiration! That bucket purse was a great find! What you have, you can't teach: unlimited creativity, a beautiful face, mind and heart and a bangin' bod! What a treat to watch you go through your own styling paces. I learn something new every time I pop by. Love having a daily uniform, it's just so much easier to accessorise rather than build up a full outfit from scratch each day. I love me a daily uniform as well - makes life sooo much easier - and yours are so glam, I hesitate to call it a uniform. I loved all of them!! I love you blog and pictures! You look very chic! Great outfit. You style it perfectly! Hi Tamera! I want to thank you for doing your part to UP THE STYLE of Southern California because as both you and I know it's pretty much just workout gear and beach wear! You are forever a source of beautiful inspiration and I am taking your blogging series Quite Seriously! Thank you. I'd love to take part in the give-away! If howlite lowers stress, I'd better enter your giveaway. Do you make anything like a whole howlite suit of armor? Loving the pre-planned accessories to Diva the errands. I would love to win one of your bracelets. I admired Adrienne's when she wore it after meeting you. 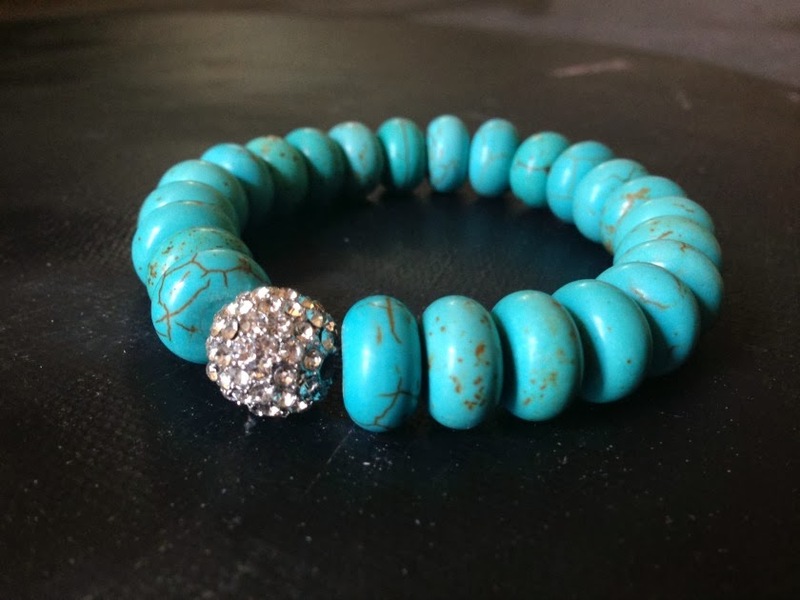 With Spring and Summer coming up I love to wear turquoise jewelry. I have earrings but no bracelet and I think this would go with most of my wardrobe! 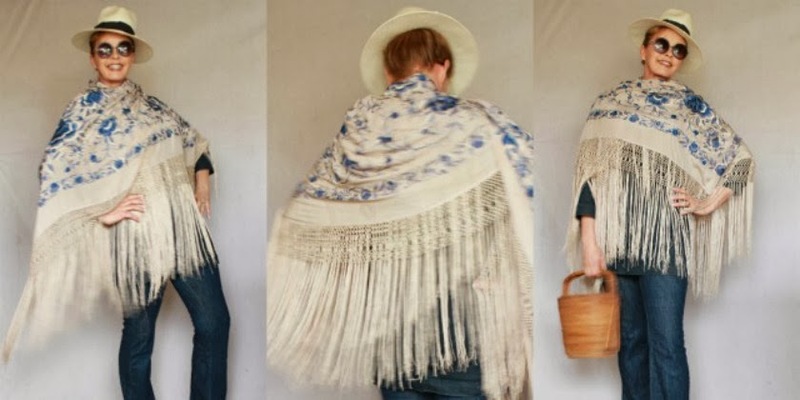 Your blog is lovely, your photographs are inspiring, and your style is rockin'! Thanks for the chance to win the bracelet.